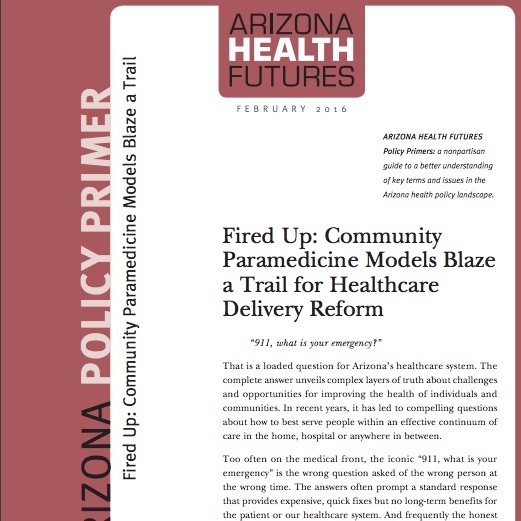 Community paramedicine could revolutionize the business of healthcare delivery in Arizona. Several Arizona communities have launched fire service-based community paramedicine programs. Mesa has the largest, most developed program and is tackling thorny issues that address the viability of community paramedicine. This recent Arizona Republic article explains the billing and reimbursement issues that are key to program financial sustainability. A Vitalyst Health Foundation policy primer, written by JDD Specialties, provides an overview of the community paramedicine component of mobile integrated healthcare in Arizona and highlights six fire-service based programs. Vitalyst will profile at least six additional community paramedicine programs this year. This entry was posted in Arizona, Community, Health, Uncategorized and tagged arizona, community paramedicine, healthcare, vitalyst on May 23, 2016 by Jennifer Dokes. Transformative organizations like LISC Phoenix look for ways to explain their impact on the community. 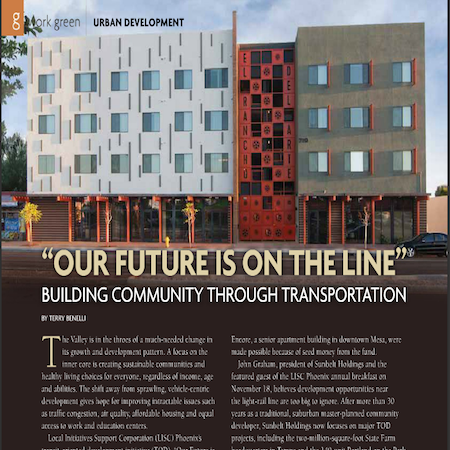 JDD Specialities helped facilitate publication of an article about transit-oriented development in Green Living Magazine. This entry was posted in Arizona, Phoenix, Portfolio, Urban revitalization and tagged arizona, light rail, LISC, transit, transit-oriented development on February 22, 2016 by Jennifer Dokes. 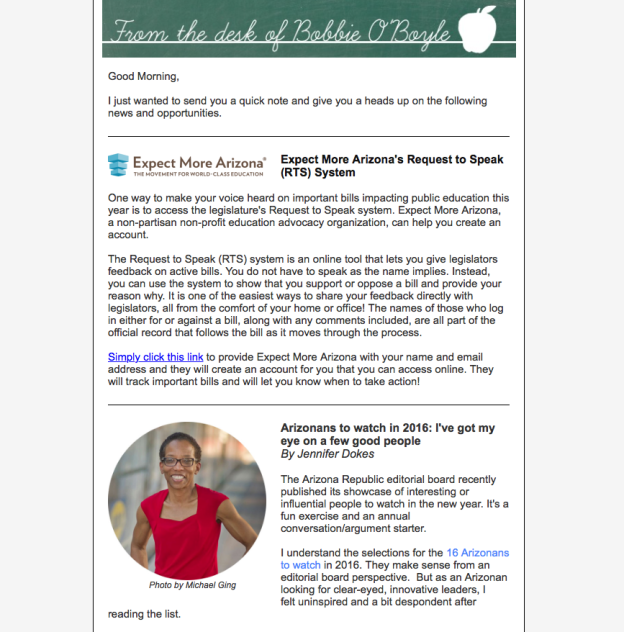 I thank Bobbie O’Boyle, executive director of the Arizona Educational Foundation, for including my list of 2016 inspired leaders in her newsletter. The list includes teacher of the year Christine Marsh. This entry was posted in Arizona, Education, Phoenix, Social issues, Urban revitalization and tagged 2016, arizona, education, leadership on January 29, 2016 by Jennifer Dokes. I like this partial quote from The Arizona Republic’s Q&A with Sheila Healy, the new executive director of the Arizona Democratic Party. It’s true. Women always have had a strong showing in Arizona politics. This entry was posted in Arizona, Civic engagement, Phoenix, Uncategorized and tagged arizona, Democrats, politics, Sheila Healy on August 22, 2015 by Jennifer Dokes. Briana, a best friend of my daughter, is a first responder. She is a freshly minted teacher beginning her first professional year of school. She’s running toward a crisis. It’s not a burning building; it’s Arizona’s public education system. 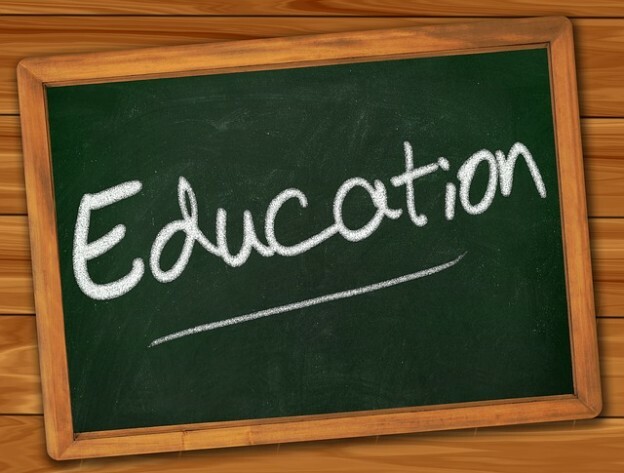 Teachers have left Arizona classrooms in droves, causing a critical shortage of educators. Rare is the school district that begins this academic year with a full complement of certified teachers. Many meet classroom needs with long-term substitute teachers. This entry was posted in Arizona, Education, Phoenix, Social issues and tagged arizona, classroom, education, schools, shortage, teachers on August 4, 2015 by Jennifer Dokes.